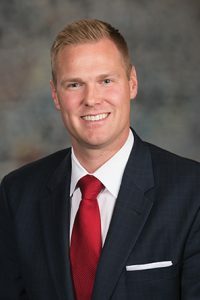 LB603, introduced by Omaha Sen. Brett Lindstrom, would affect default interchange fees that are charged between institutions during an ATM transaction. The bill would not change a bank customer’s ATM fees. “The bill would modernized Nebraska statutes,” Lindstrom said. Patrick Dwyer of MasterCard testified in favor of the bill. Dwyer said Nebraska is the only state that prohibits banks from charging varying fees. Without added flexibility, he said small cities would be at risk of losing ATMs. “We’re unable to negotiate with both large and small institutions for ATM pricing, therefore having the unintended consequence of limiting the amount of ATMs we deploy,” Dwyer said. No one testified against LB603 and the committee took no immediate action on it.